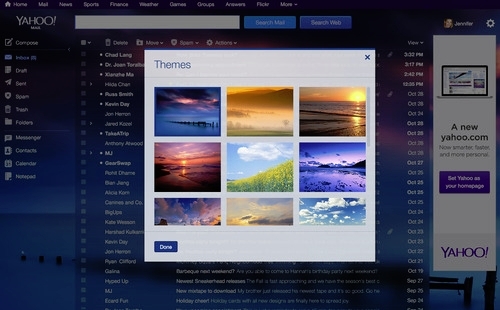 Yahoo recently rolled out an update to its free email service for web and mobile users. The new version of Yahoo Mail is again now looking more like Gmail, which isn’t a surprise since Yahoo’s new chief Marissa Mayer was a major player in the Google empire before moving to Yahoo. Basically they bumped your free storage to 1TB, they also offered the conversation view just like Gmail and added an option for you to choose a theme. But the thing that enraged everyone is they removed the Tabs. You can no longer open multiple emails and switch back and forth. You will also find that if you are using folders to organize your emails. You will first need to click on the folders label before you can view if any email is forwarded on any of your folders which is a bit annoying. What you need to do is change the launch word from the URL to search. Press enter to load the new URL and that's it. You can now bookmark the page for future use although it would first show you an empty search page, so just close the search tab and you can now use your old yahoo mail. 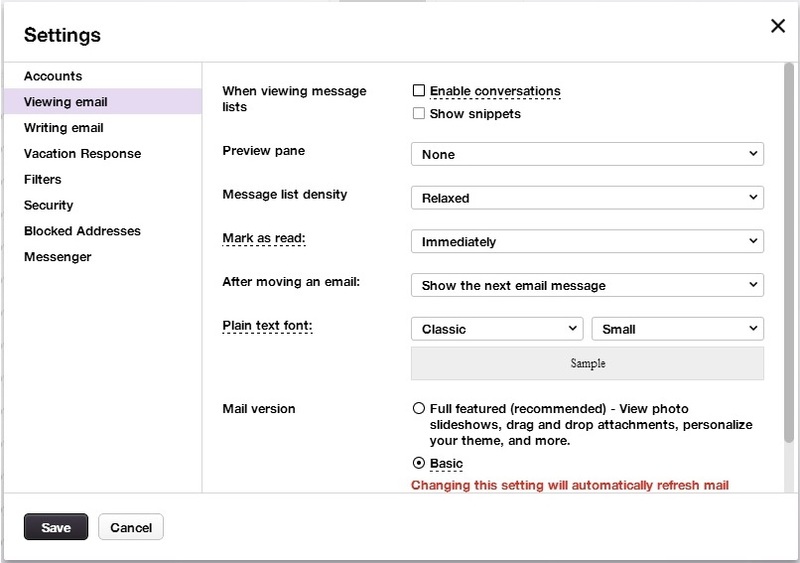 Hover your cursor over the gear icon next to your name on the right-hand side of your Yahoo Mail interface page. Select "Mail options" or "Settings" from the menu. This should open an overlay window that displays the preferences..
Switch to Viewing email. You should now see several options. What we are after is the last option “Mail version” leaves you two choices. Click on "Basic" and wait for the page to reload. Click the "Save" button to apply the changes. What you need to do is remove the /b from the URL before the /neo part. Press the enter key of your computer to open the new URL. If you have anything to share in our blog just send it to contact [at] vpntutorials.com.